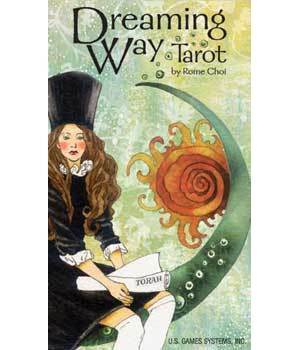 Dreaming Way Tarot dresses up traditional tarot with contemporary artistic flair. In this exquisite deck, stylish characters breathe new life into the scenes and symbols of the Major and Minor Arcana. Dreaming Way Tarot explores numerological as well as elemental influences, and offers fresh interpretations of tarot.